American expats are unfortunate in having to continue filing US taxes from abroad, often as well as filing a tax return in the country where they reside. Filing US taxes from abroad is more complex than filing from within the US though. For example, there are normally more forms to file, and there are also additional filing requirements, such as filing a Foreign Bank Account Report, or FBAR. FBARs must be filed by expats who have over $10,000 in foreign bank or investment accounts, in total, at any time during a tax year. Like all Americans, expats are required to report their worldwide income each year by filing form 1040, wherever their income is generated or earned, and regardless of whether the US has a tax treaty in place with the country where they live. Like Americans living Stateside, expats can e-file their return. 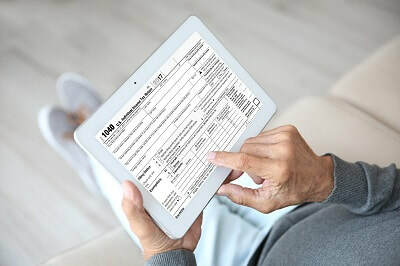 Furthermore, expats receive an automatic filing extension until June 15th, and they can request a further extension until October 15th if they need to. When expats file, they can claim one (or multiple) exemptions that the IRS has made available to avoid the risk of expats paying foreign and US taxes on the same income. The most common exemptions that expats claim are the Foreign Tax Credit, and the Foreign Earned Income Exclusion. Expats who pay foreign taxes can claim the Foreign Tax Credit, allowing them to claim a $1 US tax credit for every dollar of foreign tax that they’ve paid. Expats who pay more foreign tax than the US tax they owe can keep hold of the unused credits and defer them for future use. To claim the Foreign Tax Credit, expats should file form 1116 with their federal tax return. Expats who don’t pay foreign taxes, or who pay a lower rate of foreign tax than the US rate, can claim the Foreign Earned Income Exclusion, which lets expats exclude the first up to around $100,000 (the exact figure is adjusted up a little each year for inflation) of their earned income from US taxation. To claim the Foreign Earned Income Exclusion though, expats must first prove that they are living abroad either by providing evidence of their permanent residence in another country (this is called the Bona Fide Residence Test), or evidence that they spent at least 330 days outside the US in a 365 day period that overlapped with the tax year (this is called the Physical Presence Test). Expats can claim the Foreign Earned Income Exclusion by filing form 2555 attached to their form 1040. Expats can claim both the Foreign Tax Credit and the Foreign Earned Income Exclusion, but not on the same income. As such, each expat’s particular circumstances will determine the most beneficial strategy. Many expats weren’t aware that they have to file US taxes from abroad (the idea is counter-intuitive in a sense, after all), so thankfully the IRS has an amnesty program that allows them to become compliant without facing any penalties. The program is called the Streamlined Procedure, and it requires expats to file their last three federal tax returns, their last six FBARs (as applicable), and to self-certify that their previous non-compliance was non-willful.